Best Free Juice WordPress theme builds with the powerful Elementor Page Builder, shopping cart supported by WooCommerce 3.x, Responsive Layout, Easy to Customize! 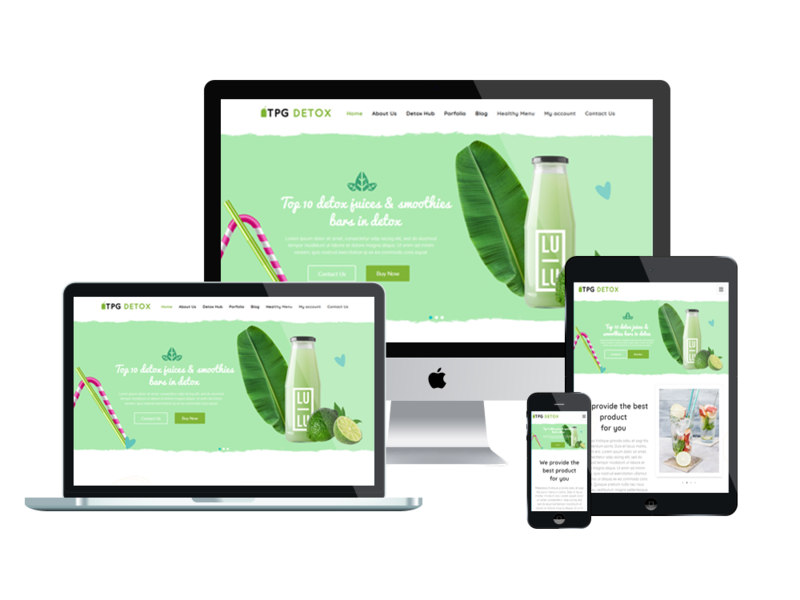 The Juice WordPress theme has been covered with fresh green look and proper content organization, which gives your visitors an impressive and curious feel to explore the entire site. 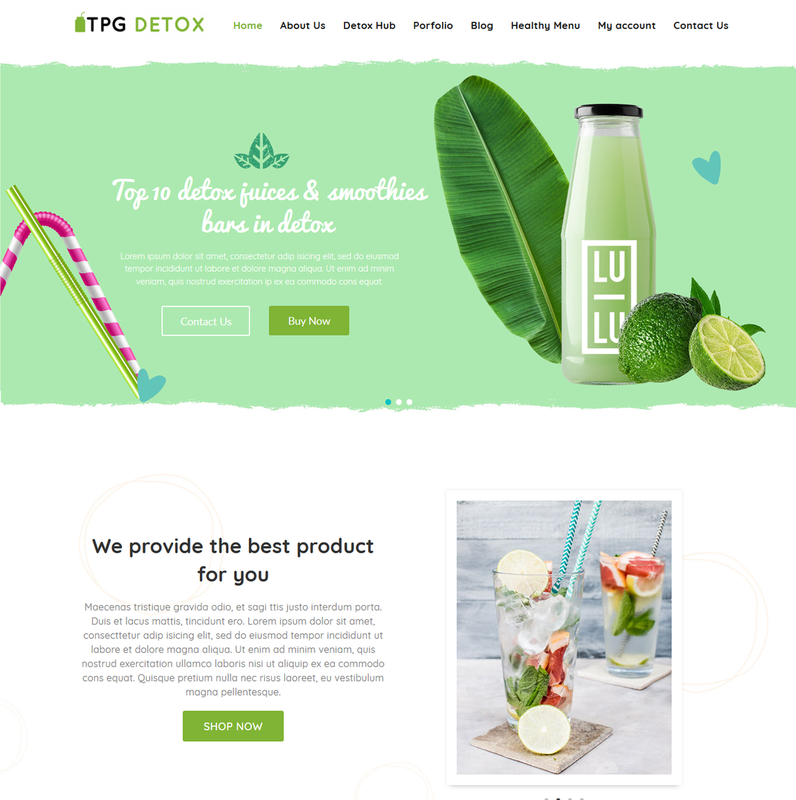 TPG Detox is a fresh and modern Juice WordPress theme which allows you to create an amazing look for your healthy juice/detox online store without paying much attempt and time. This theme has been built with the latest technologies of WordPress CMS and using customizable features. Moreover, the great ecommerce solution for your site – Woocommerce is also integrated with this theme, so you can manage all the selling activities easier. Responsive layout on every kind of mobile devices are supported as well.